The Treatments and Symptoms of Bell's Palsy - Bell's palsy is a paralysis or weakness on one side of the facial muscle that is temporary. Symptoms of Bell's palsy are almost similar with stroke. This condition causes one side of the face will look "sag". Although not yet known the exact cause, Bell's palsy is more common in pregnant women, diabetics, and HIV. 1. One side of the face will experience paralysis or weakness. The affected side of the face will look sag and you cannot move it. You will find it difficult to open or close your eyes and mouth. 2. Pain and ring inside the ear(s). 3. Decrease or change in the sense of taste. 4. The affected part of the mouth will easily drool. 5. The mouth is dry. 6. Pain around the jaw. 8. Difficulty eating, drinking and talking. Bell's palsy has different symptoms in some people. There are two types of paralysis in Bell’s palsy (local facial paralysis and total facial paralysis). Those occur on side of the face. Mouth and eye may be the most affected facial parts. Those will be difficult to be moved. This is a disorder that happens only in the facial nerves and muscles. It is not affect to the brain performance or other parts of the body. To confirm the diagnosis of Bell's palsy, your doctor will ask you for the history of your symptoms. In addition, the doctor will also perform physical and nerve checks to determine the function of the facial nerve. If the symptoms are not clear, you may be advised to perform some tests, such as electromyography, MRI, or CT scan. Here are some treatments for Bell's palsy. 1. Prednisolone. 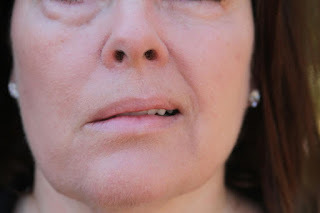 To reduce the swelling that occurs in the facial nerve, you can use prednisone (corticosteroid). This drug is the most recommended and the most effective medication in Bell's palsy. It should be given soon after the symptoms appear. It will be prescribed for a week or more and must be consumed twice a day. 2. Physiotherapy. Physiotherapy will strengthen the nerves and muscles of the face back to the normal condition. It is done to regain the coordination and movement. This procedure is helpful in cases of Bell's palsy, although not all of the patients need this procedure. 2. Difficulty eating, drinking and talking. 3. Muscle weakness or paralysis on an ongoing basis. 5. The ability of sense sensors to decline. Bell's palsy can recover fully in most of patients who experience it. In most people who suffer from Bell's palsy, symptoms of Bell's palsy begin to improve after two or three weeks. But to be fully recovered will require about nine months. The length of the recovery period depends on the degree of nerve damage suffered. 0 Response to "The Treatments and Symptoms of Bell's Palsy"